Pet Diabetes Awareness in Our Dogs - Petpav - Your Online Magazine for All Things Pet! Diabetes mellitus, or more commonly referred to as diabetes, is caused by a deficiency of a pancreatic hormone called insulin which affects the bodies’ ability to use energy found in food (sugars and starch). Normally these are broken down into something called glucose which then fuels the cells in the body but we need the insulin to help our bodies use this glucose. Because we cannot convert the glucose it builds up and can cause damage to the kidneys, heart, eyes or nervous system. If left untreated, diabetes can cause heart disease, stroke, kidney disease, blindness and nerve damage. While diabetes is not curable, it can be maintained with proper medication, diet and exercise. When these three items are properly maintained, your pet can live a long and healthy life. Below are some signs and symptoms to watch out for. Always contact your veterinarian if you have any questions or concerns. Hyperglycemia (high blood sugar) can also be an issue. As the sugar in the blood spills over into the urine, the animal will need to urinate frequently and in large volumes. This can in turn lead to dehydration, which then causes the dog to drink more water, which causes more urine which causes more… see the loop we just entered? 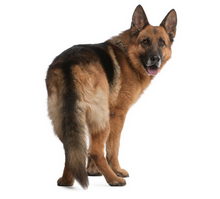 Dogs who are hyperglycemic may appear confused, tired or shaky. They may collapse or have seizures due to all of the excess glucose flowing through their bodies. After reading these signs and symptoms you may be alarmed and convinced your pet has diabetes. I know that my dog, Milo, has exhibited some, if not all of the symptoms listed above at one point or another. Hungry? Check. Thirsty? Check Check. Vomiting? You betcha. If you are concerned your pet may have diabetes, there are home tests you can purchase from your local pharmacy or retailer such as Target or Walmart. I do caution people about playing doctor (which I am guilty of myself) as sometimes these ‘test-at-home’ kits can be faulty or the results may be unclear. If your pet does test positive for diabetes, the great news is that it can be maintained and with due diligence, your pet will live a long and healthy life. We had a diabetic dog while I was growing up and she required daily insulin shots and diet modification. She was a great dog and lived to be a very happy 13 years. I am frequently asked if our treats are safe for diabetic dogs and the simple answer is, yes. However, because diabetic dogs are generally on special diets, I like for owners to get the okay from their veterinarian prior to feeding their pet new foods. After much research and careful consideration, we will be announcing a new recipe this holiday season specifically for our diabetic canines. We are so excited to offer a safe, nutritious treat that pet parents can feel confident feeding their beloved pet. If you have a diabetic canine and would like to be included in our pre-launch testing and sampling, please email me at [email protected]. Participating in our product testing is a great way to try new recipes and get free cookies! See below for more information or for helpful tools to help you with your pet’s diabetes. 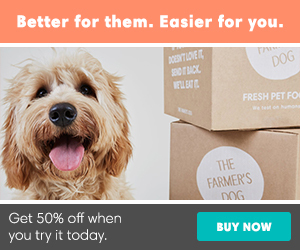 About One Dog Organic: Founded in 2014, we are dedicated to making organic dog treats using 100% human-grade, GMO-free, fresh ingredients from the USA. Using pet nutritionist-approved recipes, every treat is made by hand in small batches to ensure freshness and quality. Our trusted recipes do not include chemical preservatives, artificial colors, flavorings, salt, hormones, fillers or by-products. If we won’t eat it, we won’t sell it! All of our treats are rigorously human tested for quality, and every product must receive the “paw” of approval. Take a look at http://www.onedogorganic.com and begin making the change to a safe, nutritious treat for your pet today.